How is IGM filed under high sea sale? What are the procedures to file import general manifest under high sea sale. As you know, the high sea sale transaction is done before arrival of goods to the country. IGM is filed by carrier on or before arrival of goods at destination customs location, declaring the details of shipment arrived. So the details of final buyer is mentioned in IGM under high sea sales, as the carrier is notified and document of title would have already transferred before arrival of goods and before filing of import general manifest. 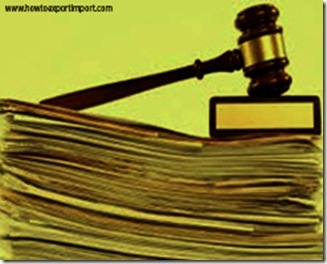 You may click here to read other articles about High Sea Sales :A simple tutorial on high sea sale procedures and formalities in India Major Documents required under High Sea Sales, How to hide invoice value of original contract under high sea sale transactions, Can high sea sales possible under air shipment?, Can high sea sale be effected more than two times?, Is sales tax applicable on shipments effected under high sea sales? How to check the time of contract on high sea sale transaction? Documentation procedures on high sea sale. Yes, I am sure, once after going through that articles you will have a good knowledge about High Sea Sales under International business. 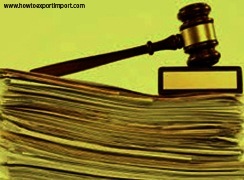 IGM amendment on consignee details can be effected after paying necessary penal charges to the authorities. However, such amendment procedures to change consignee in IGM need to be filed with proper documentation procedures on high sea sale. Do you like to share your experience in filing IGM under high sea sale. Comment below your thought about IGM filing under High Sea Sale. How to check the time of contract on high sea sale transaction. Admin: On 23 February 2015 Hello Harish Goyal, If MBL has been released under many shipments, console filing for HBLs to be filed separately for each shipment. RAHUL: On 06 October 2016 Sir, the B/L under a High Sea Sale is consigned to the bank, the notify party is "a", which has sold the material to party "b" under an HSS agreement, however the shipping line is refusing to file the IGM with party "b" as consignee, and they will file IGM with "a" as consignee. Are they right in doing so. What are high Sea Sales? Documentation procedures on high sea sale. Dimension details of 40’ High Cube Containers. GST for Rice, Oats, Millets, Maize etc.